This contest for female only. Play the adventure game & get the highest scores achieved on each weekly period. 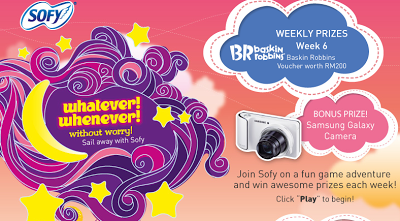 Purchased the selected Sofy Body Fit products & submit a creative slogan to be eligible to win the bonus prize. Visit Sofy FB fanpage for more details.